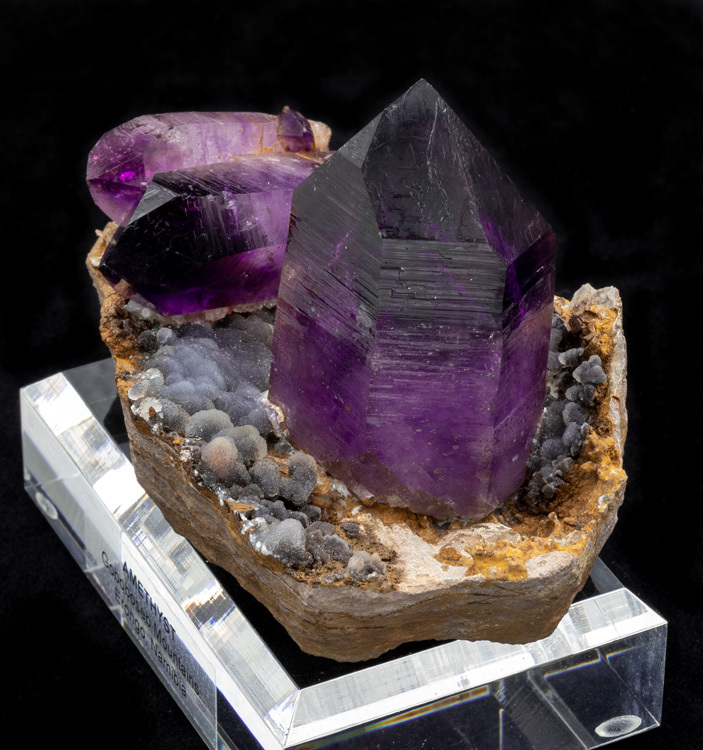 We've sold a lot of Namibian amethyst over the years, but this is by far the best one that we've ever had! 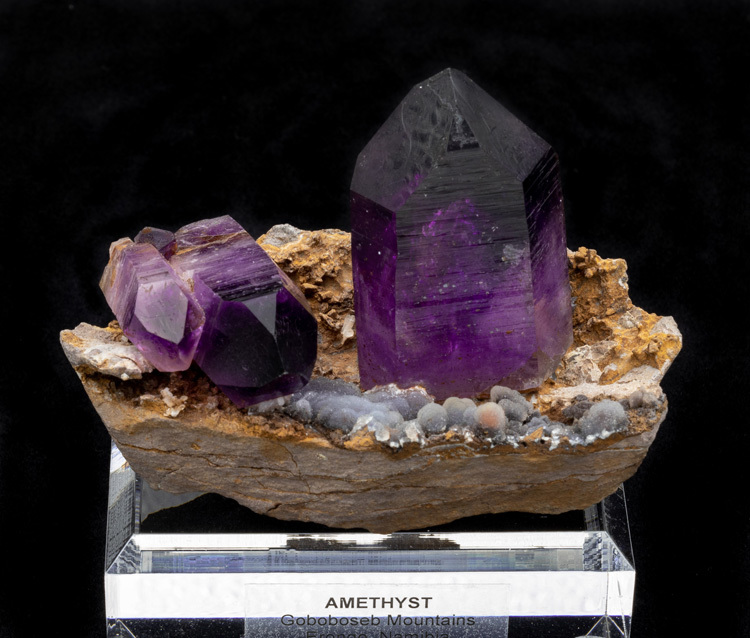 It simply doesn't get any better than this. 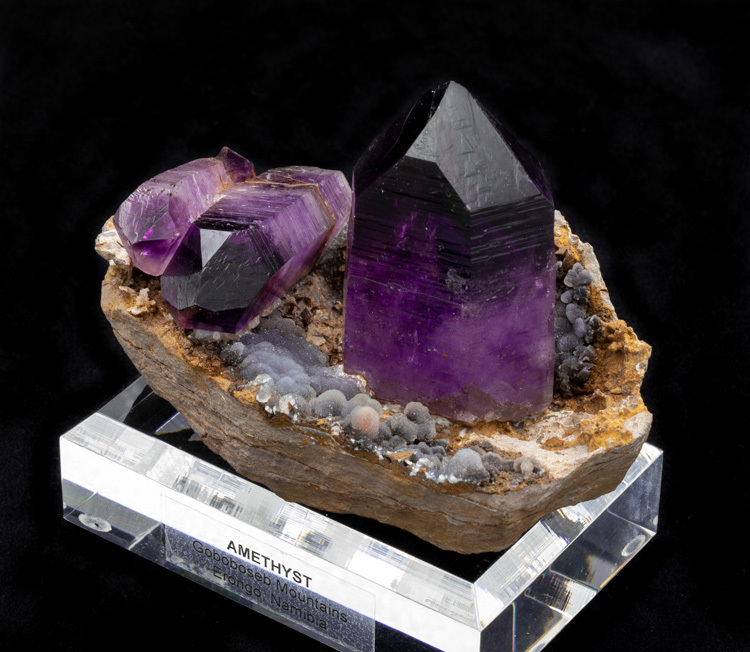 Here we have 3 amethyst crystals on matrix with some chalcedony quartz balls. 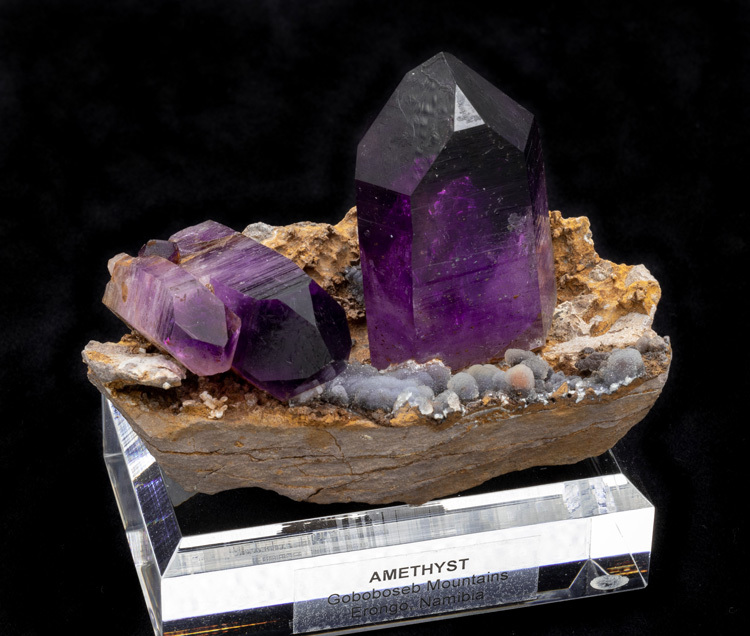 The amethyst is the very best color there is: grape jelly purple. 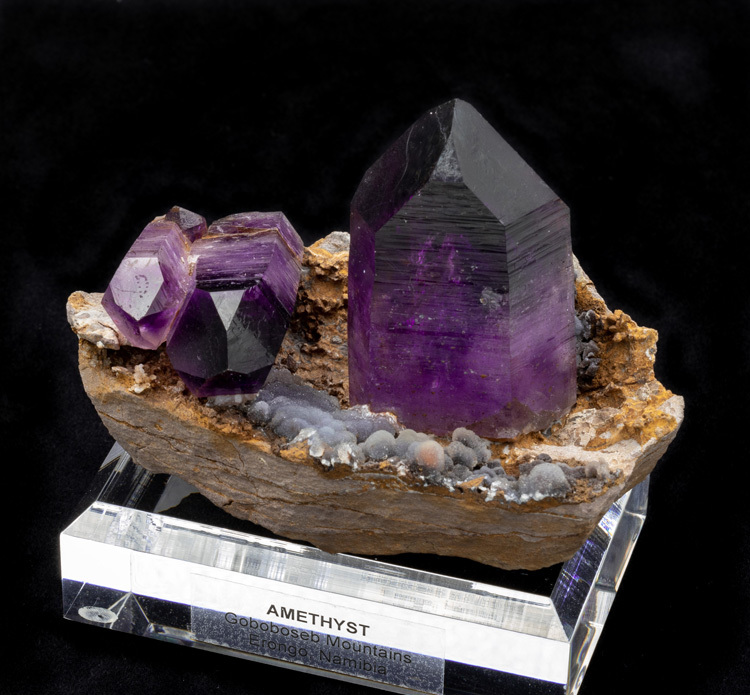 It's an ultra dark purple color, but still definitely purple, not black, and light still penetrates it. 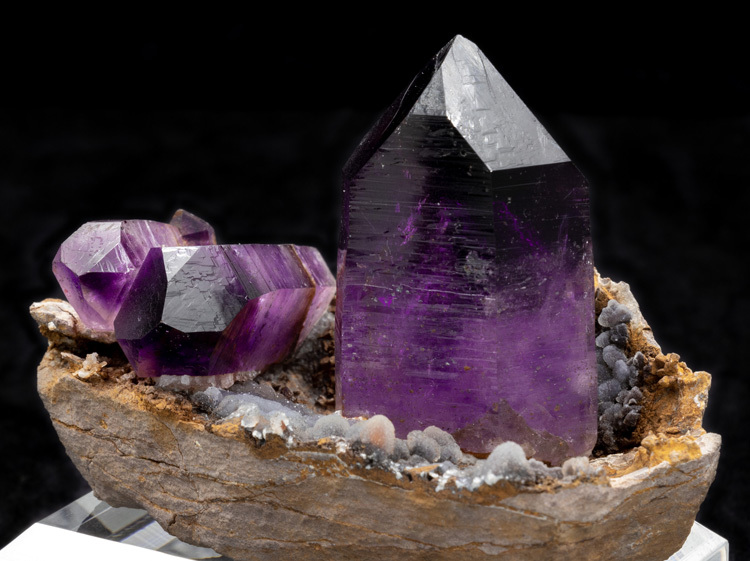 The color is stunning! 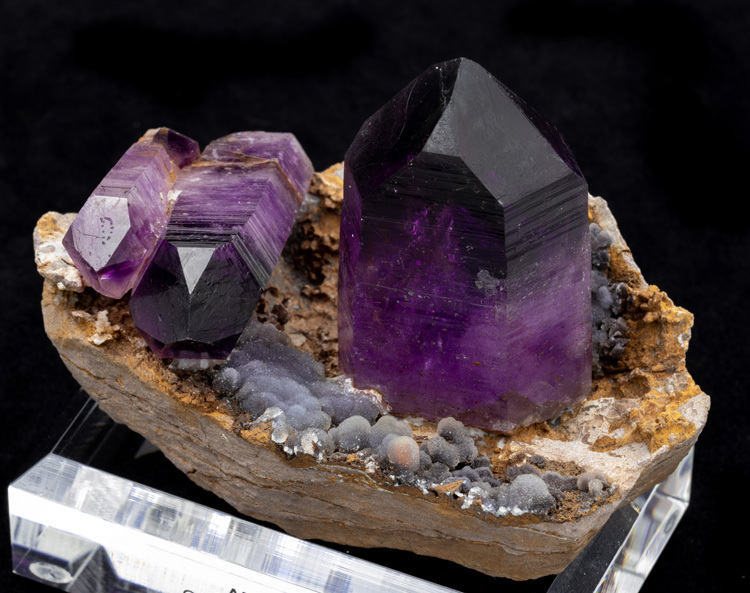 All of the crystals gradiate from the dark purple to a lighter shade as they go from the tip to base, but the smaller crystals exhibit this even more as they have dark tips and much lighter stalks. 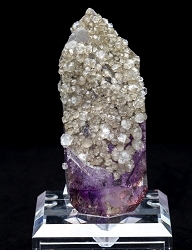 There is no damage to any of the crystal terminations, and no repairs. 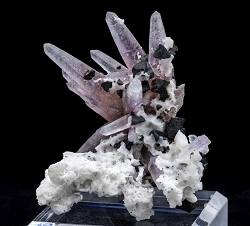 The large crystal is still growing out of the matrix while the smaller crystals appear to have fallen and solidified in place at some point in their history when they broke off of some other host rock. 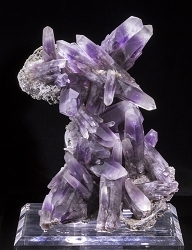 The specimen has been expertly trimmed and it stands upright on its own without supports. 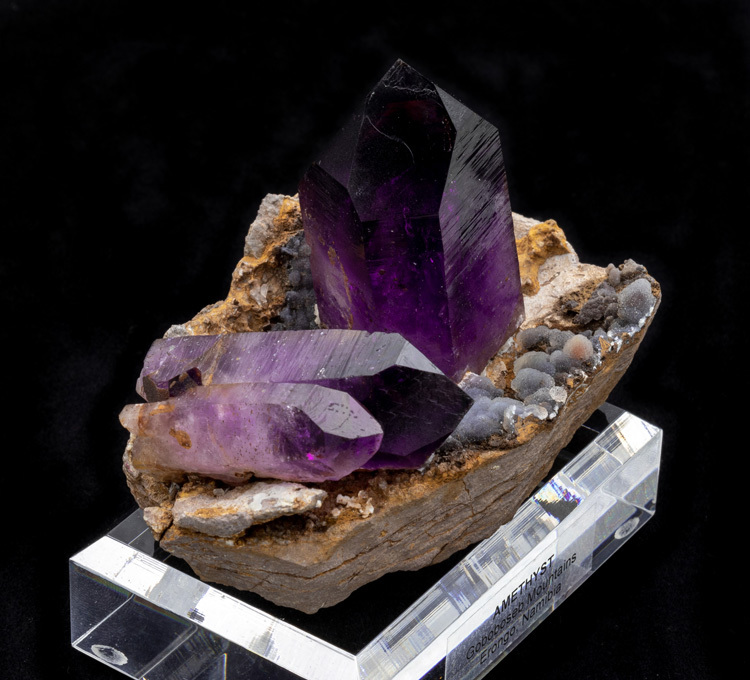 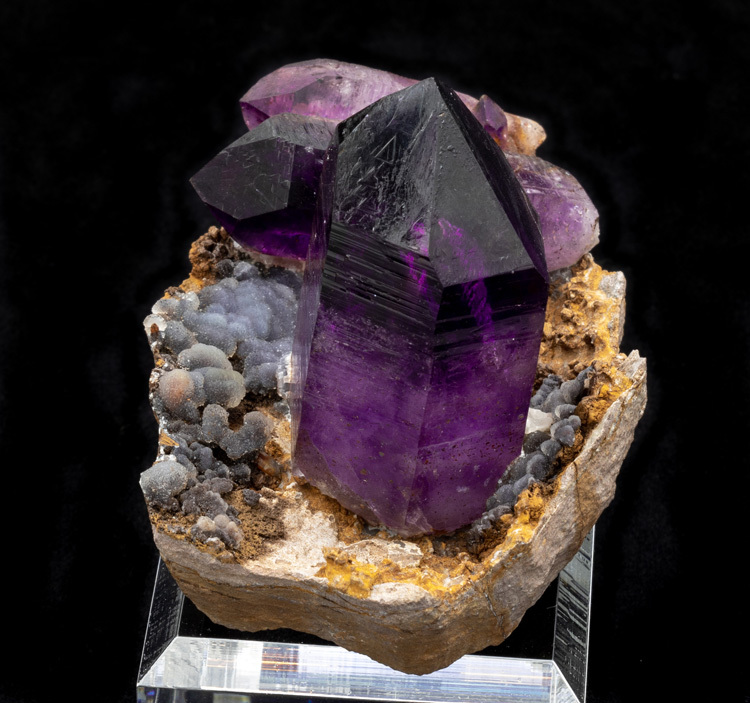 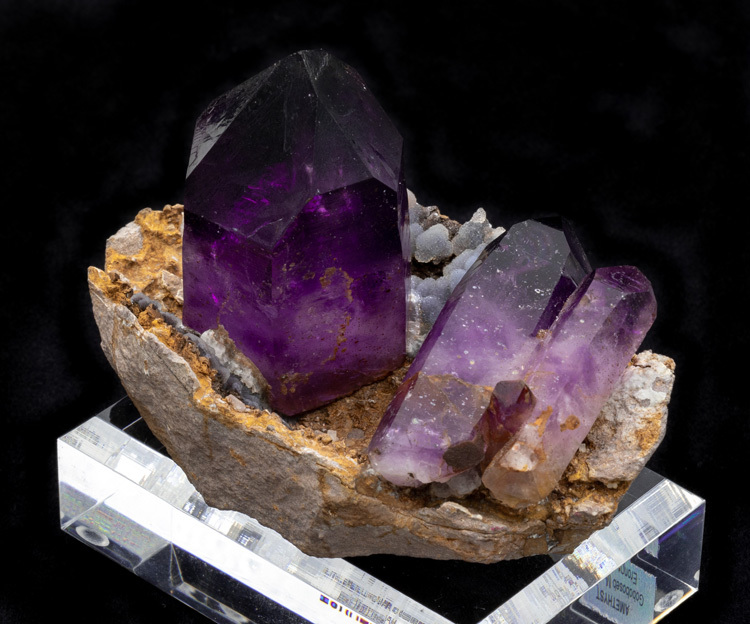 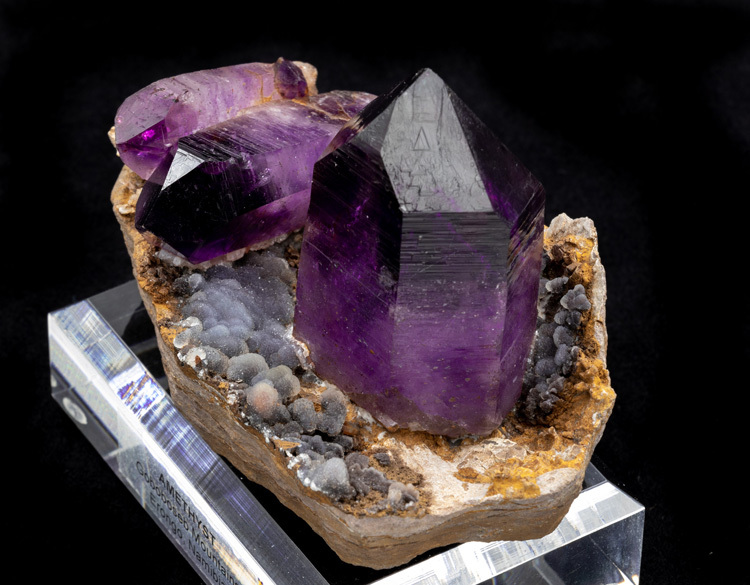 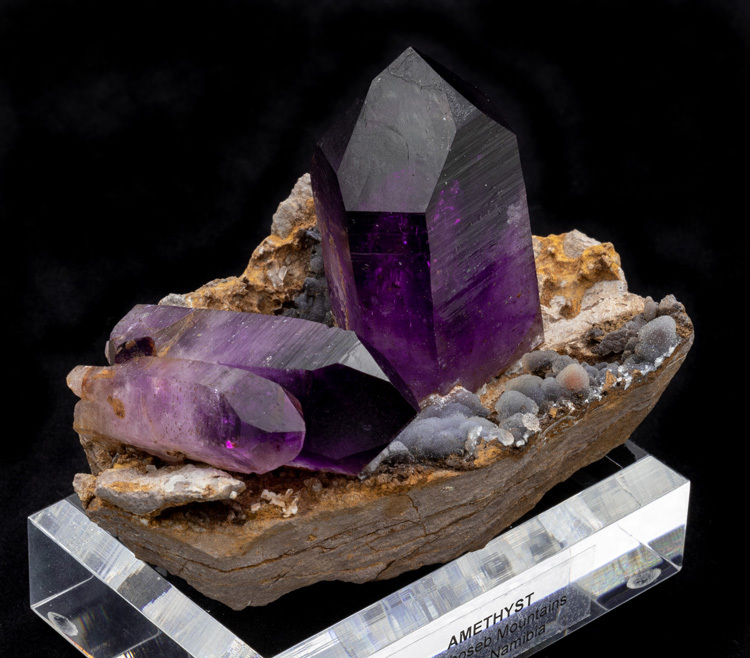 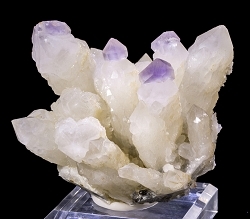 Truly a remarkable Namibian amethyst specimen!